Kindly watch the videos above for Adding accounts…. The article below is not Up to date. Adding a Facebook account to Pilot Poster is now slightly different from what it was, Facebook made some changes to how apps interact with its system starting 21st of March 2017, which affected the traditional app Pilot Poster uses in adding Facebook accounts to the system. The new method now uses the alternative way of authenticating apps as explained in this article. 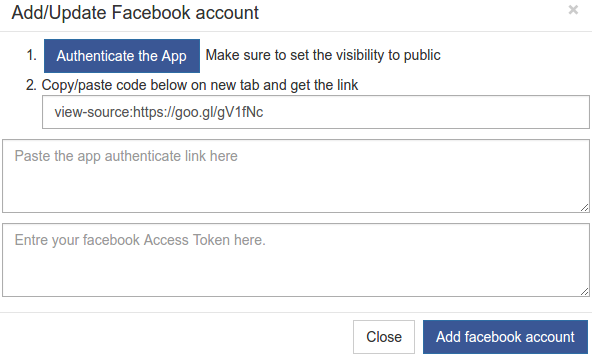 Many who have read and followed that article will find this new method easy to follow, though there are some few additional steps in Pilot Poster 2.1, and that is why we’ll be explaining the complete steps to adding a Facebook account to your Pilot Poster account in this article. 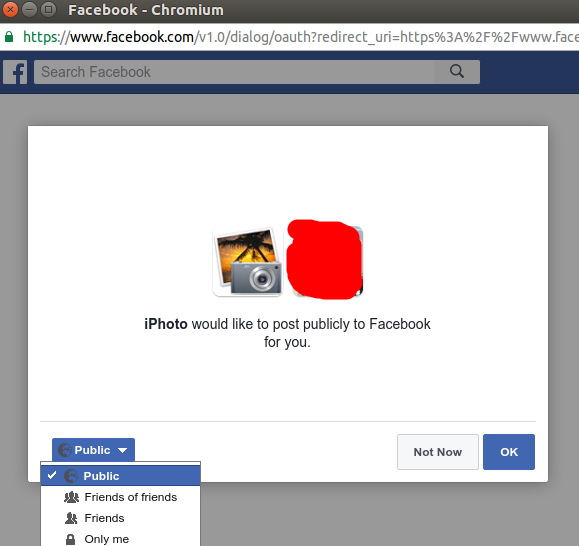 Note: It is strongly recommended to use Google Chrome Browser while adding a Facebook account or authenticating apps. Check the boxes Load my Groups, Load my Pages and Load my own Pages and set how many groups/page you’ll like to import (Maximum is 1000 for each). Note: Depending on what you’ll like to import, Load my groups loads all groups you’ve joined and created. Load my pages imports all the pages you’ve liked while Load my own pages imports all the pages you manage (Admin). 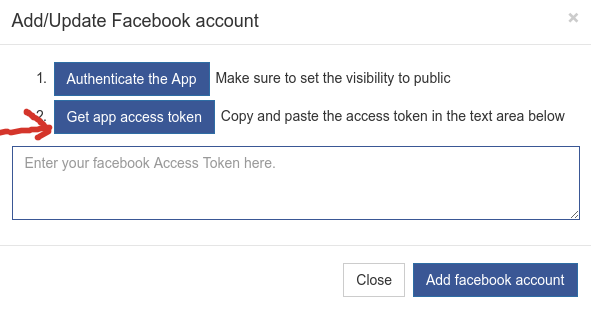 After checking the appropriate box, Click Add/Update Facebook Account to begin the authentication process. A new pop-up window comes up, click the Authenticate the App and a Facebook window opens prompting you to login if you haven’t already. A new window comes up asking you to grant iPhoto permission. Click OK and ensure you set the permission to PUBLIC click ok to complete the permission stage. Note: Old members who must have authenticated iPhoto will not see the permission, just move ahead to copy the URL. Paste the Copied URL in the First box and the second will be automatically generated. Click the Add Facebook Account button. And You’ve successfully added your Facebook account. You can also read this article to know more about getting access token via this method. Are you eager to make that first post to the hundreds of Facebook groups you have joined to drive traffic to your website, blog or affiliate link? WAIT! you need to prepare your Pilot Poster account for the first time. If you have not created a Pilot Poster account, Here is how to. When you first login to your pilotposter.com account, you get two notifications. The first states that you have no Facebook account attached to your PilotPoster account and the second is that you have not selected any application for sending posts. This article deals with the first error notification, adding a facebook account. 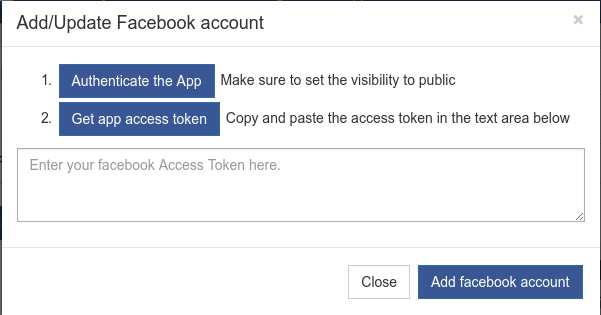 Step 4: Another pop up comes up requesting you to log into your Facebook account (If you are not logged in). 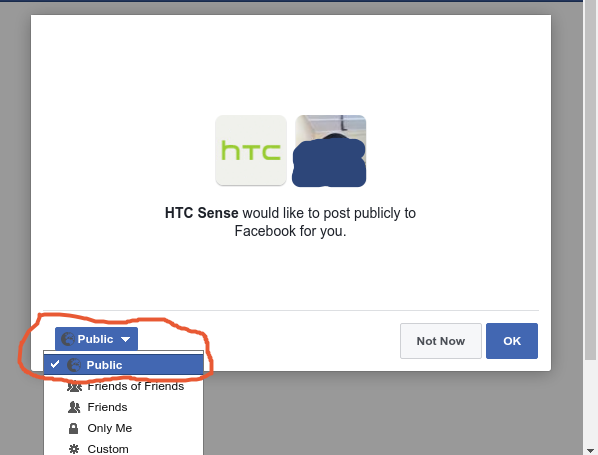 After login into your Facebook account (Or if you are already logged in), a page comes up requesting you to grant HTC Sense App permission. Remember to set the app visibility to PUBLIC as shown in the screenshot below. Now click on the button number two of the initial pop up window. As shown on the picture below. Step 5: Copy the token in the window that comes up and paste it in the authentication box. Click Add Facebook Account and you will get the message >> Facebook account has been saved/updated successfully. Close and refresh the page and you’ll see that your Facebook account has been added to the list. This way you can add as many accounts as you want. Now that you have successfully added your Facebook account, you can proceed to Select your default application for sending posts. Drop comment below if you need help adding your facebook account. Good day. My facebook groups was not imported, not even a single one. You said my facebook groups would be automaticaly added but it’s not. Kindly help me import my groups please. Is there a way to post from your business/fan page and not from your personal page? Kindly clear your browser cache and cookies or use another browser to have this fixed. May I know the challenges you faced while adding your account? Hello, I have two step authentication and cannot obtain the token from your website. Is there another way to do this? Oh, I thought I would need a HTC. It worked like a charm. I’ll continue with the rest of the setup. Thank you, great job. Hi, I have just tried to post to my groups and am now receiving error code 190 in the results. 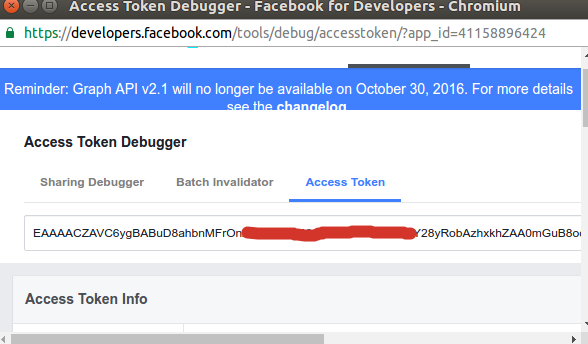 There is a notification stating that I have either Changed my Password, have an invalid token, or Facebook has changed the session for security reasons. Are you able to help? Hello, kindly re-authenticate your app to fix. La cuenta de Facebook que tenía no funcionaba correctamente, ya que no actualizaba los grupos y no mandaba las publicaciones, por lo que la eliminé. Al volver a añadir la cuenta de Facebook, me sale el siguiente error “Connection timed out after 60000 milliseconds” y no me deja añadirla, ¿cómo lo puedo solucionar? Este fue un problema técnico que ahora hemos resuelto. Esta herramienta podria agregar automaticamente grupos? La próxima versión se lanzará con una herramienta de grupo para ensamblar. Gracias. the instructions look NOTHING like how my interface is set up. when i click “add new facebook account” there are two tab, none with the options shown!! Also where is the alternative method?? Hello, we have fixed this issue in version 3.5. Kindly clear your browser cache and try again. Thank you. Can I get some clarification on what to do please? i already open via google but didnt work. how? Kindly use the alternate method for now. I just want to inform you that this pilot poster is working great today! It helped me done 77 posts! I hope this will continue for FREE, FOREVER!!! It’s a big help for online marketer on Facebook! Hello, ensure you’re logged into your Facebook account and try again. In addition, use Google Chrome browser to add accounts. Hello, You only need Firefox for Authenticating HTC Sense. You can use other browsers while adding Facebook accounts. Although we recommend Google Chrome. We’ve not tested with Safari for iPad, you can try this to see if it works. I could authenticate apps below but there’s error. Also, when I choose “instagram” as my Facebook App for publish, I could see or edit my saved post. But if I used “Graph API Explorer” as my Facebook App for publish, my saved post were not displayed, as in empty. Please help Sir. Thank you so much in advance! Hello, kindly use Facebook for iPhone or HTC Sense apps, both of which are the most stable for now. Thank you. Thank you so much! I will try it and give you update if it works fine. I did authenticate all apps except for HTC Sense.. So far, Pages Manager for Facebook is working good but my image attachment was not included on the successful post. Any advice my kind friend? Error : (#200) The user has not authorized the application to perform this action. OH! I could attach a photo! It’s good now. Also, only 3rd and 4th posts were not posted. But the 5th one with attached photo was perfectly posted! I guess this error message…Error : (#200) The user has not authorized the application to perform this action…. means…the group page itself doesn’t allow autoposter system, isn’t it? Anyway, most of my posts were successfully posted with a photo. Thank you so much for helping many FB marketers! What benefits do you get with this free pilot poster for everyone? Hello Jeremy, We generate income from displayed ads and Donations. And we’ll be launching premium features soon. This is great! Good job guys, posting on multiple Facebook groups now made easy Pilot Poster. My problem that privacy column of the groups is empty so when I want choose OPEN groups nothing happened even I try to delete FB acct. & re update without success . Please Help . Hi would wish to add my fan pages so that i can use them to…how can i do that?are personal facebook pages workable with PilotPoster?? Can I add my fb acc using my i pad ? I’m trying but get Instagram acc instead. hi,Since the pilot poster already update the version. i start add my my fb account. the video shows ,after click add/update fb aacount. then click authenticate the app. first app is instagram. Sorry, something went wrong creating your account. Please try again soon. Hello, If you see that error, it could be that you have already authenticated Instagram App. What you need to do is to go ahead with the copying of the URL (view-source:https://goo.gl/Frq5DO) and paste into another tab to generate your access token URL. So, I deleted my account then I re-added. Whoola, My name doesn’t appear, neither do all the groups I’ve joined. I’m freaking out now. I do need every suggestion to get it right. When adding my account, the only APp available was graph API hope its cool? cos I didn’t see HTC sense app. Graph API is the default app. You can change the default app to HTC Sense in Settings > Posting Settings. For some reason After setting up my account and adding my Facebook profile Pilot Poster will only add 8 of my groups. I have deleted my account 3 times and tried to add and update but still only 8 groups. My setting is at 1000 for groups so I can’t figure this one out. Hello, ensure you have NOT enabled, SHOW OPEN GROUPS ONLY from Settings > Posting Settings. Hi, does this tool add any words to our messages? or does it post our messages without adding anything at all? Hello, Pilotposter does not add anything to your post. Thank you. Do you have other Apps sir? I saw others using ” Facebook for iPhone ” application much better as of now ..
Hello, thank you for your suggestions. Facebook For iPhone will be added in few days. is this need to pay? You don’t pay to use PilotPoster as our service is 100% Free. Thank you. Hello, what error do you encounter when you try to add your Facebook account? it says service temporarily unavailable when i post, can you help? I’m following this verbatim, but it doesn’t seem to work. It keeps loading and unusable instagram page. 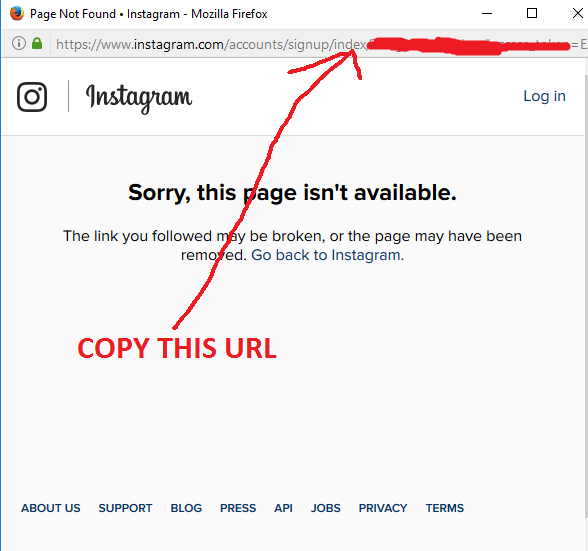 Hello, please copy the URL of the Instagram error page as that is your access token Link. The Appearances are not working, the Instagram and the MTV that are public begin to post and stop. The others do not work at all. Any plans to standardize the platform for posting? Sorry for the inconveniences, you should know that most of the current apps have 2 hours access token expiration time, except Instagram that is longer but expires at random too sometimes. However, we’ll be bringing back HTC Sense before the end of the week and that should solve the problems for now. 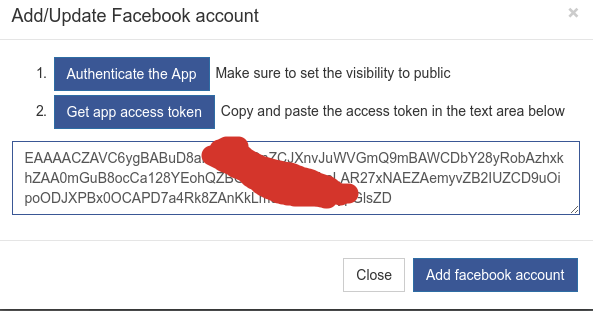 Getting the following error when trying to authenticate FaceBook. 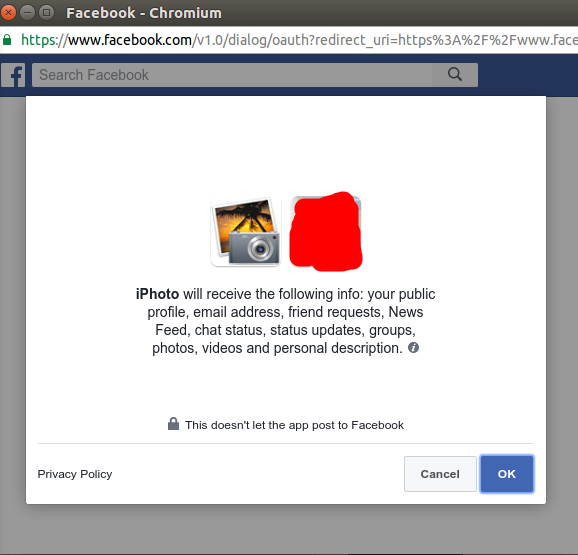 Hello, unfortunately, Facebook blocked iPhoto. The new default app is now Samsung Mobile bada, so you can now add your Facebook account. But do not forget to set Samsung Mobile bada as DEFAULT App. Hello, When i try to Authenticate “Samsung Mobile bada” I also get this message: Can’t load URL: The domain of this URL isn’t included in the app’s domains. To be able to load this URL, add all domains and sub-domains of your app to the App Domains field in your app settings. I have been using your poster for a while now but since yesterday, it refuses to schedule a post. I am also, unable to delete the old schedule or save a new post. Something wrong? Hello, we’re sorry for the inconveniences. We’re currently upgrading the system, all functions will be available immediately after the upgrade. Thank you. cAN I ASK WHY I CANNOT DELETE THE ADDED FB ACCOUNT? Why? I am updating the fb account and fb groups not updating? GOOD DAY.. GROUPS ARE NOT UPDATING? Hello Xuan, what is the error message you get when trying to save and schedule a post? We’ll appreciate if you can send with screenshots to support@pilotposter.com. Hi Sir, I sent the screenshots to your mail. Please have a look. Look forward to your good news. I have exactly the same symptoms. And sometimes I also get “Internal server error” too. Hello, HTC Sense was the default app and was removed from the system days ago. Please authenticate and set iPhoto as your default app to fix the issue. Hello, you need to authenticate and set iPhoto as your default app. HTC Sense (Used to be the default app) is now dropped from the system. Hello, can you send the screen shot of your post on Facebook? Hello! I’m using Chrome, but after finishing step 5, after I click on the “Add facebook account” button the page is loading and not left. Hello V, If you have successfully follow the steps, goto home from the main menu and check if all of your facebook groups and facebook pages have been imported. Hello precious, what browser are you using to add the facebook account? We recommend Google Chrome. Can you send us a mail on support@pilotposter.com so we can help you further. I logged in with my personal facebook account and now want to add my business facebook account so that when I post it comes from Busuness Facebook page. Is this possible? Unfortunately, facebook does not allow Pages to post to Groups. You can only post to a Facebook Group with a facebook profile account. We’ll include the ability to post to Facebook pages with Pilot Poster very soon. hi sir, how to put Video link into this application what should i do? hello, You can host your video on your website or other external source and paste the link in the video box. Alternatively, If you’re sharing a Youtube video, simply paste the link in the “link” box and not video. hi Sir, why i always get in ‘POST STATUS’ —> Error validating access token: Session has expired on Saturday, 20-Aug-16 22:00:00 PDT. The current time is Sunday, 21-Aug-16 23:46:25 PDT. What should i do? This is because your Graph API access token has expired you either reset the token or simply Change the app you’re using to post. We recommend iPhoto. Graph API expires every 2hrs while iPhoto never expires. Hello, you have to host your images on sites like imgur.com, copy the image link and paste in the image field when posting. Alternatively, if you already have the image on your website or any other site, simply right click on the image and copy image location. Paste the copied url in the image field of your post on Pilot Poster. Thank you for using our Facebook group auto poster. 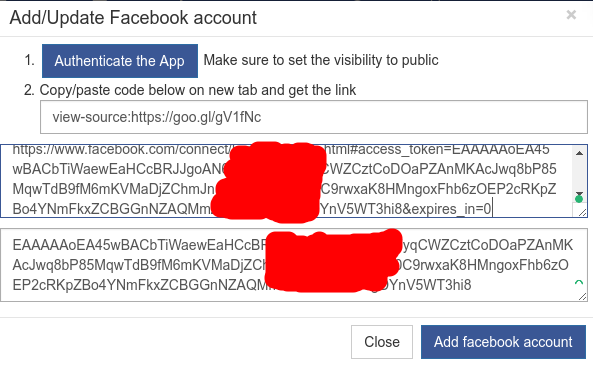 I copied links for Facebook and pasted them and when I click on ADD FACEBOOK ACCOUNT it does nothing? 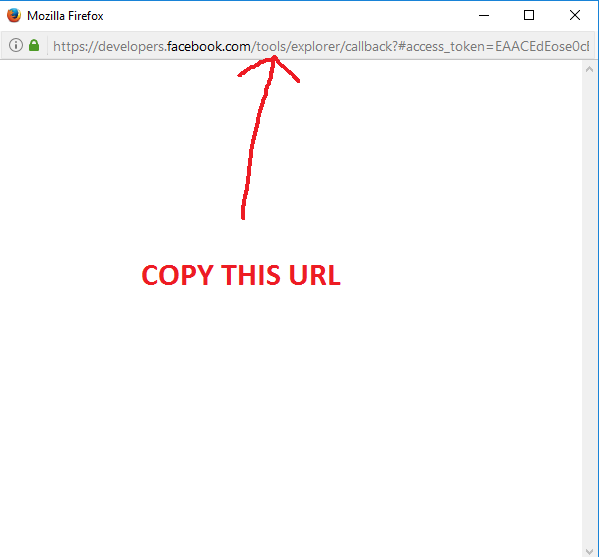 When you copy the link as shown in STEP 4 above, and click on ADD FACEBOOK ACCOUNT, close the dialog box and refresh the page.